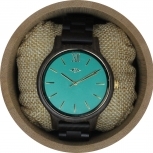 This suave men's watch from Angie Wood Creations offers a robust and attractive design. 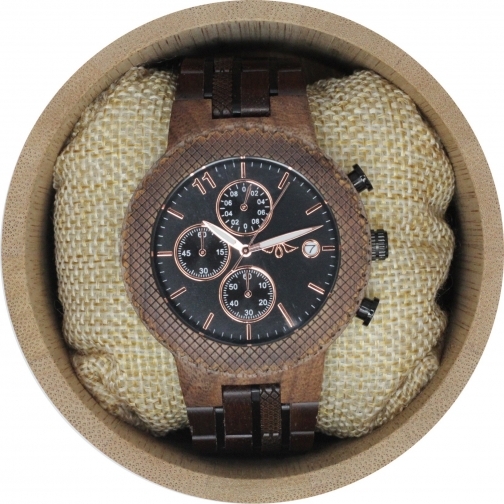 Balancing a decadent combination of walnut wood and stainless steel, this watch ticks both boxes for style and presentation. 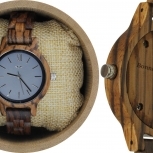 With a patterned walnut wood bezel, and multi-link walnut wood bracelet with stainless steel inlay and invisible double locking clasp, this is perfection personified. 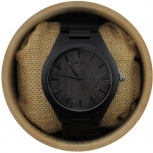 This beautiful wood watch is finished with a handsome black dial and date window as well as a chronograph feature measuring seconds, minutes and hours. 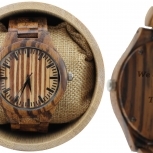 This luxurious Walnut Wood and Stainless Men's Watch will win their favour and their heart. 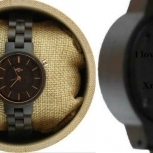 Note that we use a Chinese manufacturer for our production, we design the watch along with them and produce it. 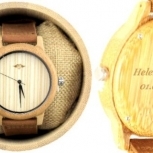 We then customize the watch to your liking ourselves, in our shop and ship it directly to you from our shop in Deux-Montagnes Quebec,Canada.